When your vehicle is repaired after an accident, its resale value immediately takes a dive. This is called “diminished value.” The only upside is that you are entitled to financial compensation for the loss in value your vehicle suffered—insurance companies simply and sadly do not want you to know that! People generally steer clear of purchasing vehicles with even the smallest accident in its past, and so the demand for vehicles that have been damaged in an accident is substantially low. That’s why your vehicle’s resale value drops immediately on impact, putting less money in your pocket when you want to sell it or trade it in. To stop diminished value from hurting you down the road, it’s important to file a diminished value claim after you have been in an accident that was not your fault. Insurance companies seek to increase profits, and intentionally overlooking diminished value claims is one of their methods to maximize profits. There are two main ways insurance companies fight diminished value claims that every consumer should know about. Insurance companies will often fight diminished value claims by telling consumers they do not qualify for one. If you have been in an accident in your own vehicle and are not at fault, the fact of the matter is that you qualify for a diminished value claim. You are owed the loss in value your vehicle suffered—it’s that simple, and the at-fault driver’s insurance company knows that, but paying out your claim is the last thing they want to do. Another deceptive method insurance companies use to fight diminished value claims is deliberately paying out very little. They will often offer consumers a settlement significantly lower than the total loss of value, with the hopes that consumers will be quick to accept. Hiring a true professional to negotiate your diminished value claim is the best way to avoid being low balled. 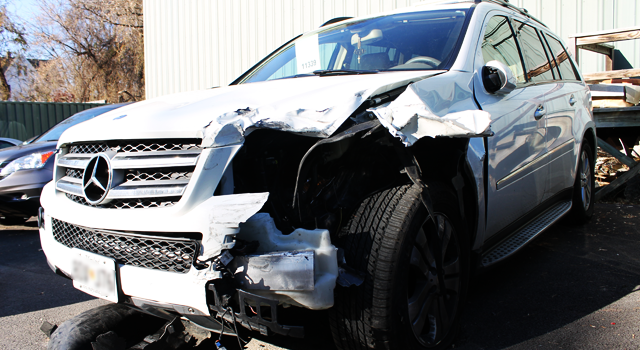 After a car accident, most of us only focus on and worry about how long it will take for our vehicle to be repaired. But it’s important to keep track of a post-accident checklist that includes filing a diminished value claim, to help us recover from the accident physically, mentally, and financially. Remember: It is your right to collect the full amount of compensation owed from the at-fault party or its insurance company.